Leslie Chambers reviews the Toho 30cm Series Yuji Sakai Modeling Collection Godzilla (2016) Ric Exclusive Version vinyl figure by X-Plus. It was released in October 2018. YouTuber Joebiz34 reviews the 30cm Series Yuji Sakai Modeling Collection Shin Godzilla 2016 RIC Exclusive Version vinyl figure by X-Plus. YouTuber ぎわちん。 reviews the Toho 30cm Series Yuji Sakai Modeling Collection ShinGodzilla 2016 RIC Exclusive vinyl figure site by X-Plus. 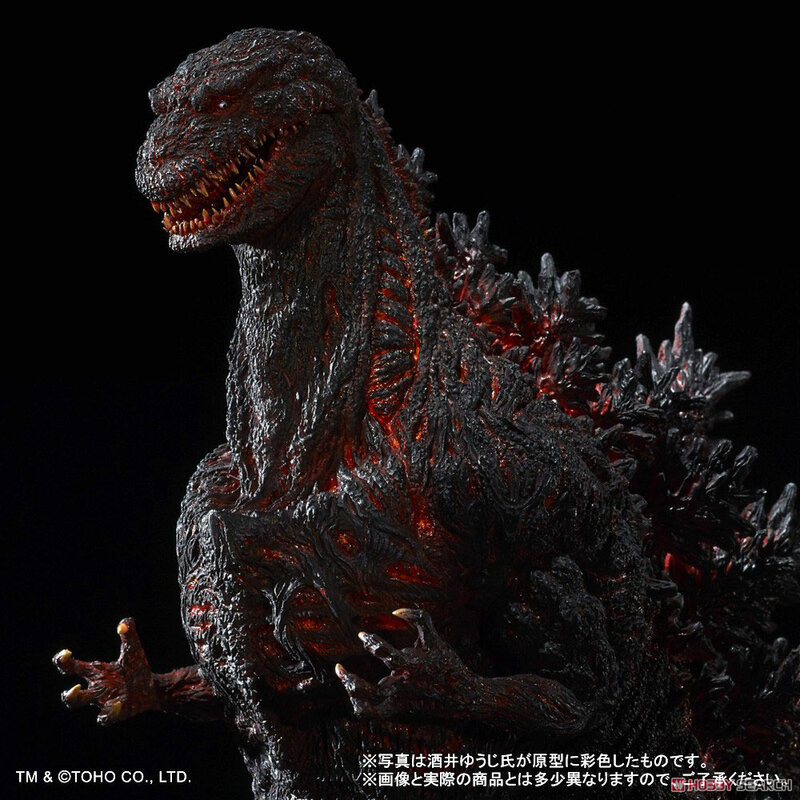 神クオリティのシン・ゴジラが届いた【酒井ゆうじ 東宝30cm】SHINGODZILLA 2016 フィギュア. 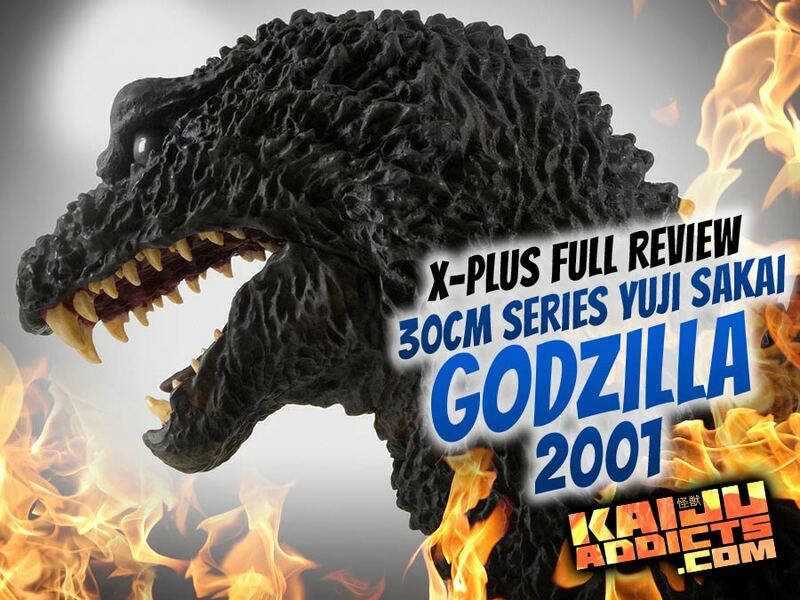 Toruk811 reviews the Toho 30cm Series Yuji Sakai Modeling Collection Godzilla (1991) Hokkaido Version vinyl figure by X-Plus. (東宝30cmシリーズ 酒井ゆうじ造形コレクション ゴジラ1991「ギドゴジ北海道バージョン」 ). This is the North American (Diamond) Reissue. • See more content at his YouTube Channel. The Toho 30cm Series Yuji Sakai Modeling Collection Godzilla 2001 vinyl figure by X-Plus was first announced in late 2015. It was released in Japan in late February / early March, 2016. It was re-issued by X-Plus for the United States and Canada in June 2017. This figure is based on Godzilla’s appearance in the 2001 Shusuke Kaneko film, Godzilla, Mothra and King Ghidorah: Giant Monsters All-Out Attack, the third movie in the Millennium Series. Rich Eso reviews the Toho 30cm Series Yuji Sakai Modeling Collection Godzilla 1991 Shinjuku Version (東宝30㎝シリーズ 酒井ゆうじ造形コレクション ゴジラ(1991)新宿バージョン) RIC Exclusive Version vinyl figure by X-Plus. It was released in Japan in August 2017. Leslie Chambers reviews the Toho 30cm Series Yuji Sakai Modeling Collection Godzilla 1991 Shinjuku Landing Version (東宝30㎝シリーズ 酒井ゆうじ造形コレクション ゴジラ(1991)新宿バージョン) Standard Version vinyl figure by X-Plus. X-Plus collector, Logan Ten Fingers, just received his 30cm Series Yuji Sakai Modeling Collection Godzilla 1991 from us at Flossie’s and he’s sent in this awesome shot of it up against downtown Portland, Oregon. Do you have a great shot of your X-Plus? 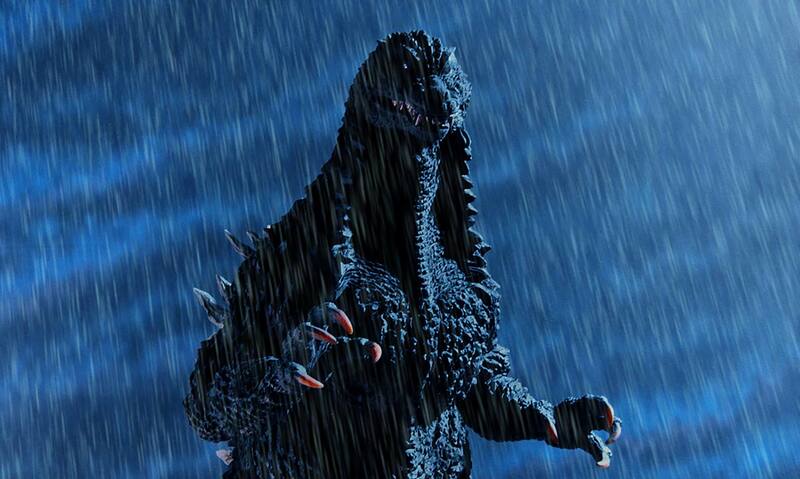 Send them in and let us share them on Kaiju Addicts! 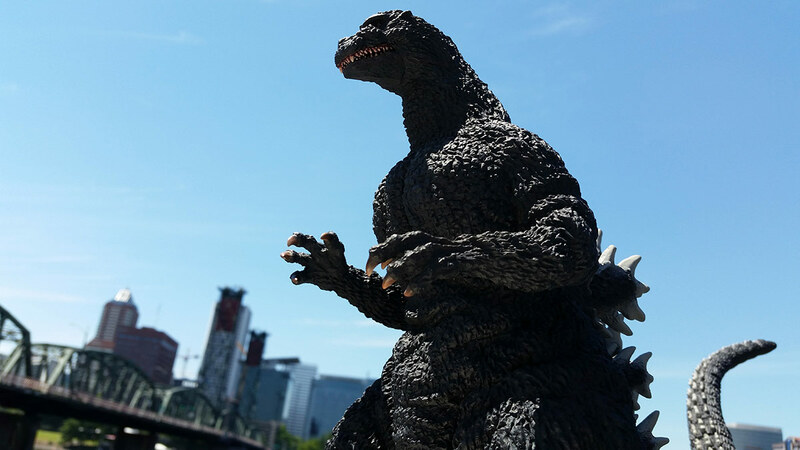 By John Stanowski|2017-07-10T20:12:43-04:00June 30th, 2017|Categories: PHOTOS|Tags: 1991, 30cm Series, Godzilla, Yuji Sakai|Comments Off on Photo: Godzilla 1991 Attacks Portland!